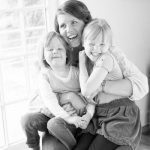 For those of us as parents who find ourselves struggling to react calmly to our children’s myriad of behaviors and feel by the end of the day, we are overwhelmingly exhausted, this podcast is for you! 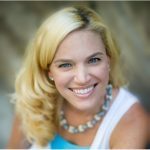 Today’s guest is a Mindful Mama Mentor and creator of the podcast The Yoga Story Project, Hunter Clarke-Field. She and I dive deep into the subject of Mindful Parenting. And take away tips to use right away for finding more peace and enjoyment as a parent. Personally, this conversation with Hunter inspired me to start my own 30 Day Mindful Parenting Challenge, which has forced me to take more responsibility for my actions and intentions as a parent. I have found the experience transformative! For those interested in this, checkout our social media on Facebook and Instagram under the hashtag #pycmindfulparenting .